Mindfulness is gathering speed. Your child’s school may have offered some sessions; maybe you have bought one of the many mindful colouring books that encourage your child to focus and enjoy the moment of creativity. If mindfulness has or has not entered your life, how can you support your child to understand what it is and what it can offer them? Here are some ideas and tips to support you and your child to develop a deeper understanding of mindfulness meditation. Mindfulness is simply… noticing what is happening right now, in this moment and paying attention to it. Mindfulness is becoming aware of your senses and of how your body feels, moves; what you see, hear, touch, smell and taste. Maybe you even feel emotions in your body, perhaps through a tightness somewhere, or a good sensation. Mindfulness is also noticing what your mind is doing, your thoughts as they arrive and developing your awareness that you are thinking and that its ok. So what happens when you start noticing these things? When you begin to notice what is happening around you, you focus more deeply, and you begin to strengthen your concentration. It simply is developing your ability to pay attention. Often we think we are soing this and we ask children to ‘pay attention!’ but do they really grasp what this means? Using our senses is an immediate way to allow childlren to understand what paying attention is. ‘notice the colours, notice a scent, notice how something feels…’ Tell them to really pay attention to their place in the world by paying attention to their senses. Ask them to describe the sensations in their fingertips, the solidness of the ground beneath their feet, the taste, feel and sensation of every single bite of food they take. Improved focus can help you do well in all areas of life too. To achieve higher levels in sports, school or music. It can help you to calm down when you’re sad, angry or frustrated. it can help you to find more clarity when you deal with tough emotions, and mindfulness can help make connections to support you to feel happy and feel good. When talking with older children, you could simply expand on the previous explanation and say that mindfulness is a basic life skill that can benefit us in many ways. We tend to react rather than respond. For example, when someone says something we don’t like to hear, we react. Sometimes we say something that we would like to take back the moment after we blurt it out. Mindfulness helps us create space between a strong emotion and our actions and develop time to form a response. Thus we can learn to deal with positive and negative experiences more calmly and by making better decisions. This video helps to explain mindfulness and how the brain works. 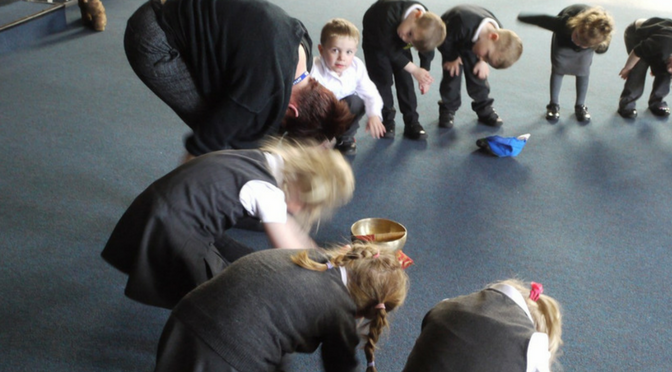 Children find the science behind learning mindfulness fascinating and it helps to put it into a real life context. Please could you provide me with information and cost on whole school training for mindfulness.